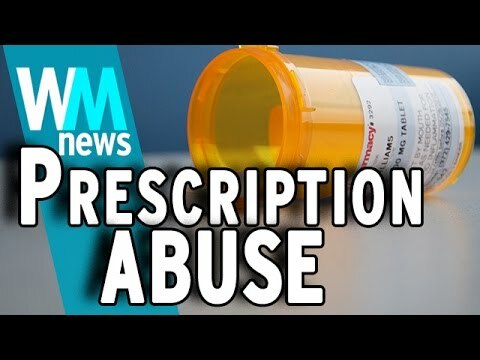 We must prevent the abuse of prescription drugs right now! It is hard to define which drug is the most harmful, but is definitely known which types of prescription drugs are mostly misused. Some of these have been used for years, while some of them were developed a few years back. Here is the short list of commonly abused drugs. One of the most misused prescription drugs is opioids. Those are medications that react to opioid receptors in spinal cord and brain. These receptors are responsible for the feeling of pain. However, they also affect the region in t he brain which controls emotions. Opioids have been used for more than a century, but their use had increased during 1990’s when they were used for treating the chronic pain, even though some patients reported a strong addiction problem, especially after long-term use. In a chemical sense, they are very similar to heroin, which was synthesized from morphine. Some of the most common opioids are hydrocodone (Vicodin), oxycodone (OxyContin), morphine (Avinza), codeine and fentanyl. These include tranquilizers, sedatives, and hypnotics. All of these slow the brain’s activity, which means they are good for treating anxiety and sleep disorders. The most common are benzodiazepines, sleep medications and barbiturates. Benzodiazepines include diazepam (Valium), clonazepam (Klonopin) and alprazolam (Xanax) which are proven to be good in the treatment of anxiety and panic attacks. Sleep medications (Ambiem, Sonata….) are a bit weaker in comparison to benzodiazepines regarding tolerance and addiction so they can be used on a long-term basis but with the caution. The third group is barbiturates (Luminal, Nembutal…) which are used in surgical procedures or in treating seizure disorders. They have a great risk of overdosing, even when used in the prescribed dosage. That is why many people overdosed on CNS depressants. As their name says, they stimulate the brain in the form of alertness, increased attention, increased blood pressure or heart rate. Stimulants are previously used for treating asthma, obesity and neurological disorders until it became apparent that they can be misused. After that, specialists decreased the number of conditions that could be treated with stimulants to decrease the level of abuse. The latest condition that doctors listed for treating with stimulants is ADHD, which proven to be very efficient. Still, stimulants are still being abused on the large scale.